Surging U.S. oil and natural gas production has unleashed a new ear of American prosperity. It has also created a myriad of transportation bottlenecks in production regions across the country. In the absence of adequate pipeline capacity, producers are forced to rely on railroads to ship resources to market. Most recently, reduced capacity on Enbridge’s Line 3 and the ongoing legal drama over the Keystone XL Pipeline caused the Canadian government to contract 4,400 railway tank cars to move oil to U.S. markets. Crude-by-rail shipments from Canada to the U.S. are already at an historic high, more than doubling in 2018 as production outstripped available pipeline capacity. Shipping crude via rail is not only more costly and less efficient than a pipeline, its also a burden on the agriculture community, which relies primarily on railroads to bring crops to the market. 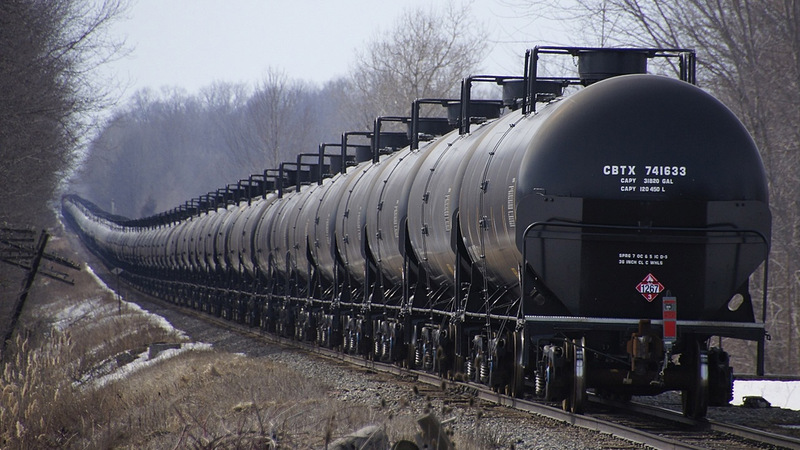 An increasing number of oil trains reduces overall railroad capacity, which in turn raises shipping costs and limits space previously available for agricultural products. Higher rates reduce profits for farmers and lead to higher costs for consumers. During the first half of 2014 North Dakota farmers lost more than $66 million due to rail congestion, according to a North Dakota State University study conducted at the request of U.S. Sen. Heidi Heitkamp. A separate analysis by the U.S. Department of Agriculture has estimated that farmers in the Upper Midwest lost “as much as 3 percent of cash receipts, or about $570 million” in 2014 due to rail congestion. The American Farm Bureau Federation released a study in 2015 echoing Heitkamp’s concerns. “Due to strong demand and limited supply, from late 2013 to the spring of 2014, rail freight costs for grain were skyrocketing,” wrote Elaine Kub, a grain market analyst who assembled the white paper. Kub’s analysis concluded that construction of new oil and natural gas pipeline infrastructure was needed in order to ease congestion. “Expansion of U.S. pipeline capacity… represents the best alternative to add overall freight system capacity and relieve the congestion that has threatened grain movement during recent marketing years,” wrote Kub. The Dakota Access Pipeline provided much needed relief to farmers in the Upper Midwest. but today, as production continues to rise, it’s clear that continued investment in energy infrastructure is needed to head off a repeat of 2014.